What's Causes Nighttime Leg Cramps? Leg cramps at rest are very common, especially in older adults, but can be experienced at any age. They frequently occur at night and while not life threatening, can be very painful, disruptive of sleep, and can recur throughout the night or many nights each week. There are several possible reasons for leg cramps. Sometimes, such cramps are initiated by making a movement that shortens the muscle. An example is pointing the toe down while lying in bed, which shortens the calf muscle, a common site of muscle cramps. Dehydration: Sports and other vigorous activities can cause excessive fluid loss from perspiration. This kind of dehydration increases the likelihood of true cramps. These cramps are more likely to occur in warm weather and can be an early sign of heat stroke. Chronic volume depletion of body fluids from diuretics (medicine that promote urination) and poor fluid intake may act similarly to predispose to cramps, especially in older people. Sodium depletion has also been associated with cramps. Loss of sodium, the most abundant chemical constituent of body fluids outside the cell, is usually a function of dehydration. Low blood calcium, magnesium: Low blood levels of either calcium or magnesium directly increase the excitability of both the nerve endings and the muscles they stimulate. This may be a predisposing factor for the spontaneous true cramps experienced by many older adults, as well as for those that are commonly noted during pregnancy. Low levels of calcium and magnesium are common in pregnant women unless these minerals are supplemented in the diet. Cramps are seen in any circumstance that decreases the availability of calcium or magnesium in body fluids, such as taking diuretics, hyperventilation, excessive vomiting, inadequate calcium and/or magnesium in the diet, inadequate calcium absorption due to vitamin D deficiency, poor function of the parathyroid glands (tiny glands in the neck that regulate calcium balance), and other conditions. If you're suffering from cramping or pain in the legs during the day, the cause of your problem may be from pressure on the spinal nerves that exit from the lower spine. Is Sleeping Becoming A Pain In The Neck? If you frequently wake up in the morning with neck pain or headaches, your pillow may be the reason. Sleeping night after night on a flat pillow without any support can cause a lot of unnecessary pain. Because of this, some people resort to using pain medications and sleep aids to get through the night. If you are forced to use pain medication or sleeping pills to get to sleep and are still uncomfortable throughout the day… a cervical pillow might be just the thing for you. Cervical pillows help put the neck in a “neutral” position when you are laying in bed or sleeping. These pillows are designed to work whether you are a side or back sleeper. They provide support to maintain the natural curve of the neck while laying on your back and keep the cervical vertebrae in a straight line when laying on your side. Stomach sleeping is discouraged in general as it puts undue stress on the neck and lower back, leading to painful, uncomfortable mornings. There are many types of cervical pillows advertised, using everything from rice to space age foams and even water filled ones. We have several types of pillows to choose from at our office that vary in cost, design, and materials. Stop in and we can help you find which one will work best for you. Of course sleeping positions can also have an effect on the quality of sleep you get as well. If possible, try to sleep on your back or side to prevent too much stress from being put on the lower back or neck. If that doesn’t help and you still have neck pain, it may be time for a chiropractic adjustment. I Have Spinal Stenosis, Now What!? What causes spinal stenosis, or narrowing of the openings in the spine? People can develop spinal stenosis due to traumatic injuries or congenital defects, but the most common cause is age-related degeneration. If you have been diagnosed with spinal stenosis, some of the most effective conservative treatment methods available are chiropractic and stretching. In fact, depending on the cause of the narrowing within your spinal canal, stretching and exercise can do a great deal to help alleviate back or neck pain associated with spinal stenosis. 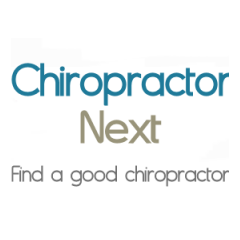 Of course, it’s important to always consult your chiropractor before beginning a new exercise or stretching regimen, especially if you suffer from the pain, tingling, numbness, and/or muscle weakness and spasms caused by spinal nerve compression. Knee to chest – Start by lying on your back with your knees bent and feet flat. Grasp one knee with both hands and pull it toward your chest as far as is comfortable. Repeat with the other knee, then both knees simultaneously. This stretch can be very helpful when performed in the morning, before getting out of bed to start your day. Plank - Lift up off your knees so that you are supported on your forearms and toes with a level back. Almost like a modified push up position. Keep your head in line with your body and spine in a neutral alignment, pull your navel in, bracing your abs tight. Try to hold this position for as long as possible. Side Plank - Lie on your right side, supporting your upper body on your right forearm, with your left arm at your left side. Lift your hips, keeping your body weight supported on the forearm and the side of the right foot. Again, try to hold this position for as long as possible then switch sides and repeat. objects like an exercise ball. “Superman” - Lie on your stomach on an exercise ball (or the floor). Raise your right arm and left leg as far as you comfortably can (or about 5-6 in. if you’re laying on the ground) and hold for 5 to 10 seconds. Repeat with opposite arm and leg. These will help strengthen the muscles of the upper and lower back. There is a chance that stretching and strengthening alone won’t be enough to manage severe spinal stenosis symptoms. However, exercise and stretching in conjunction with other conservative treatments – Chiropractic adjustments, proper body mechanics, and others – will frequently help reduce your back and neck pain. Some adults may wonder why more and more people are taking their children to see chiropractors. That’s a good question and the answer is simple: whether we have a large, full grown spine or a little, growing one, if that spine is not functioning properly, our bodies won’t work the way they’re supposed to. Spinal dysfunction (or vertebral subluxations) occurs as a part of normal daily life. Typical causes in children are from physical stressors like falls while learning to walk or off of playground equipment or collisions on the soccer field or basketball court. It is also important to keep in mind that the nervous system of a child isn’t fully developed until they’re in their late teens. That is why children can take a fall that would knock you or I senseless, and they pop back up and head off again. It’s not that they’re not injured, their body just isn’t good at telling the brain about it. When soft tissue like joints, ligaments, and capsules are injured, they will heal whether you treat them or not. The problem is that an untreated soft tissue injury will heal like a scab on a cut, becoming thick and fibrotic, unable to bend and flex properly. These injuries are often the beginning of the “bad” knee, shoulder, or lower back that many people suffer from later in life. Because the developing spine doesn’t send “pain” signals very well, children don’t frequently complain of back and neck pain. Instead, they suffer from things like colic or irritability, an inability to suckle and breastfeed, poor sleep, developmental delays, digestion issues, asthma, behavioral problems, low energy, inability to concentrate, headaches, etc – the list is endless. In fact, regardless of what the end result or symptom may be, all roads lead back to the nervous system – to the body’s ability to self-regulate and function at a peak level. 1. To prevent spinal problems later in life. 3. To strengthen the immune system and reduce the incidence of colds and ear-aches. 4. To help with colic and “Irritable Baby Syndrome“. 5. To help with asthma and allergies. Please contact our office and schedule a FREE Consultation and Exam to see if your child could benefit from a Chiropractic adjustment.